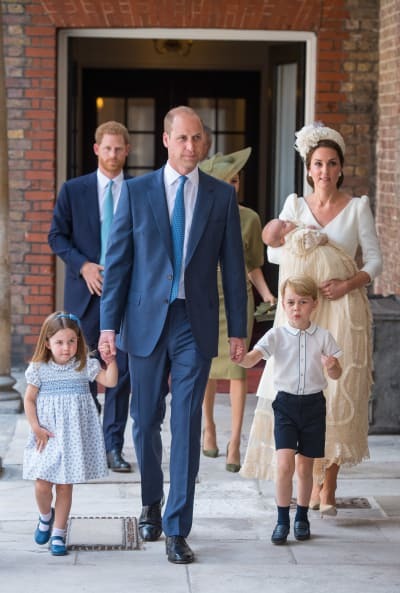 The Duchess of Cambridge arrived on Monday at the Chapel Royal in St. James’s Palace in London alongside Prince William and her three precious children in order to Christen the youngest of these children. 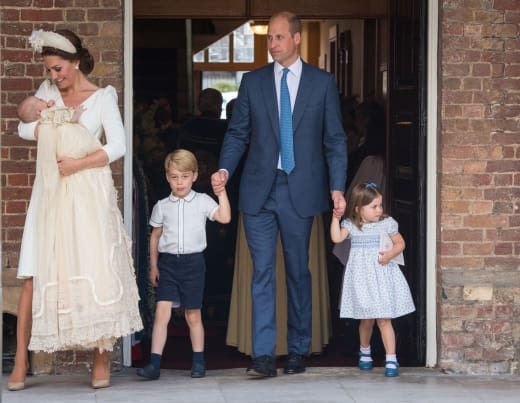 Indeed, it was quite a big day for 11-week old Louis, who was accompanied for this major occasion by his four-year old brother, George, and three-year old sister, Charlotte. This was actually the first time all five members of this beloved immediate family were photographed in the same place. Middleton, as we"ve come to expect at all times, looked elegant and gorgeous in a cream suit dress from Alexander McQueen (her wedding dress designer) and a matching headpiece from Jane Taylor. Louis was born on April 19 and, within hours, Middleton was all dressed and made up and debuting her child for the public. Since then, the global icon was spotted at the annual Trooping the Colour even on June 9; and a day later, she and her two older kids were on the sidelines of Prince William’s polo match. That"s been about it for Kate Middleton appearances since she became a mother for the third time. We"re obviously not blaming her or judging her here. She has a newborn at home! ... and most recently officiated Prince Harry and Meghan Markle’s royal wedding. Charlotte, meanwhile, was Christened at Sandringham’s St. Mary Magdalene church in Norfolk, which is also where her late grandmother Princess Diana was Christened. His ceremony was held at St. James’s Palace‘s Chapel Royal. O Jesus, I Have Promised and Lord of All Hopefulness. Moreover, Godparents Lucy Middleton and Guy Pelly each did a reading. And, as if all this wasn"t exciting enough, Pippa Middleton was on hand for her nephew"s special day. She attended alongside husband James Matthews, and with a baby in her womb. We can"t make out a bump just yet, but Pipppa can be assured that the paparazzi will be looking closely for many weeks to come. She can also turn to her sister any time she needs advice, especially considering what Kate recently said about parenting. “It is the simple family moments like playing outside together that I cherish."